Happy Friday from Puerto Rico! I’ll try no to rub it in too much for those of you in the Northeast. It’s so nice to be in a warm and sunny place after the past few snowy weeks we’ve had! I planned this girls getaway with three of my best girlfriends. Sometimes you just need a girlcation! 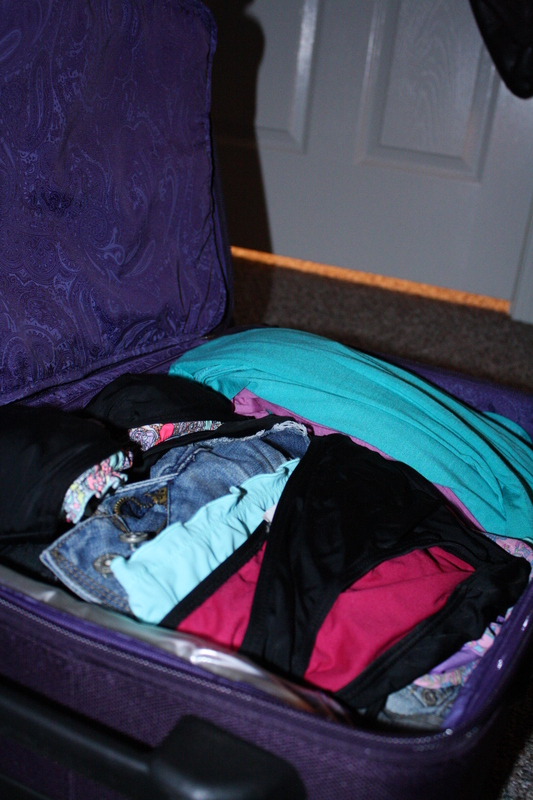 Since we are only here for four nights we didn’t want to pack too much and have to check a bag. 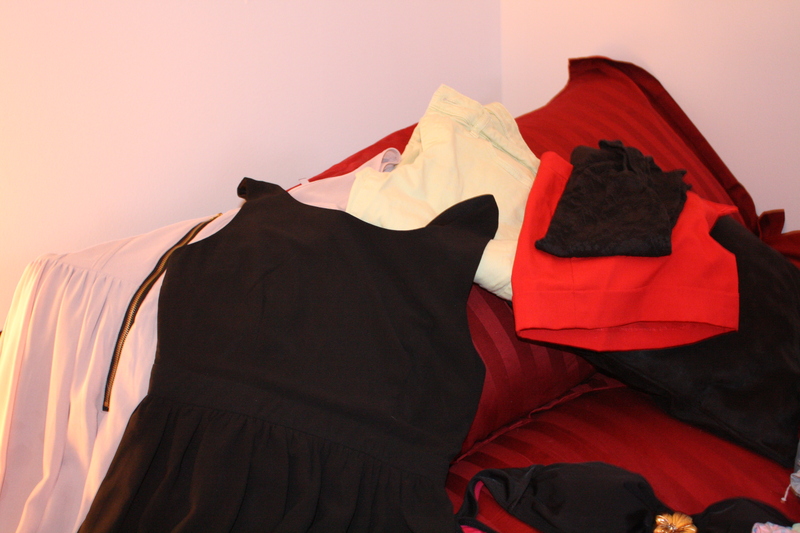 This means strategic packing was in order. 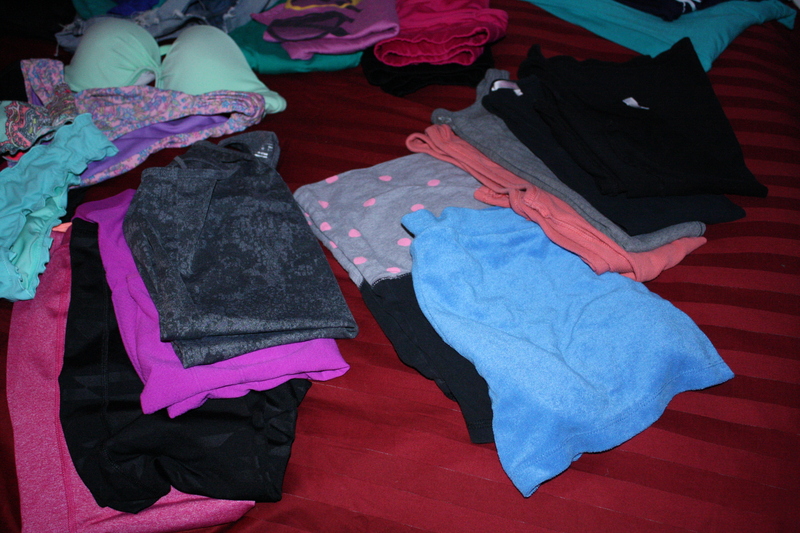 I think I pride myself on being a good packer. Having studied abroad, travelled throughout Europe, and backpacked through Peru, I’ve had a fair share of practice! How will you spend your days? Beach? Pool? Sight seeing? How will you spend your nights? Casual nights out? Fancy dinners? Will you be exercising at all? Will you be doing any excursions / tours /activities? What items do I use on a daily basis when getting ready for a normal day? 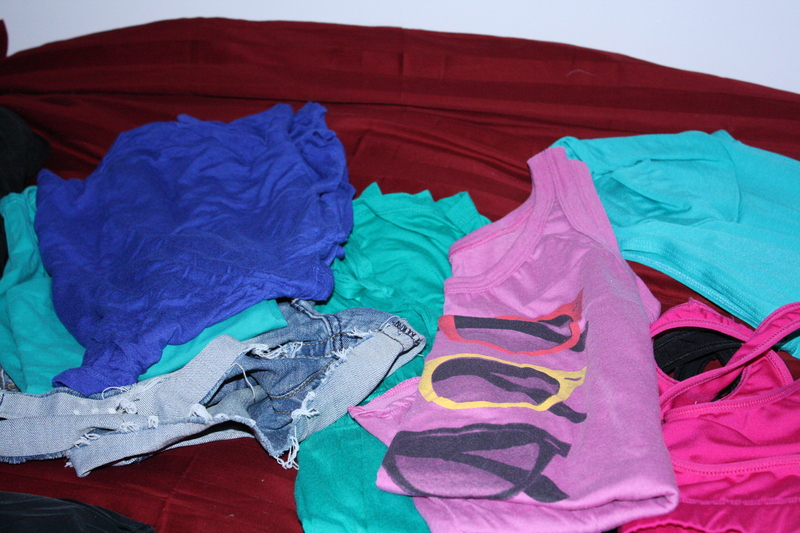 These are some questions I think about before packing for a little getaway. It helps break it down and get your mind wrapped around what you need. Okay, off to enjoy my vacation! I woke up this morning before the 6AM mark. It was cold, dark, and SNOWING! What the heck? Since I’m really just not ready for the snow flakes I think a little Cancun, Mexico edition of Take Me Back Tuesday will put me in much better spirits! 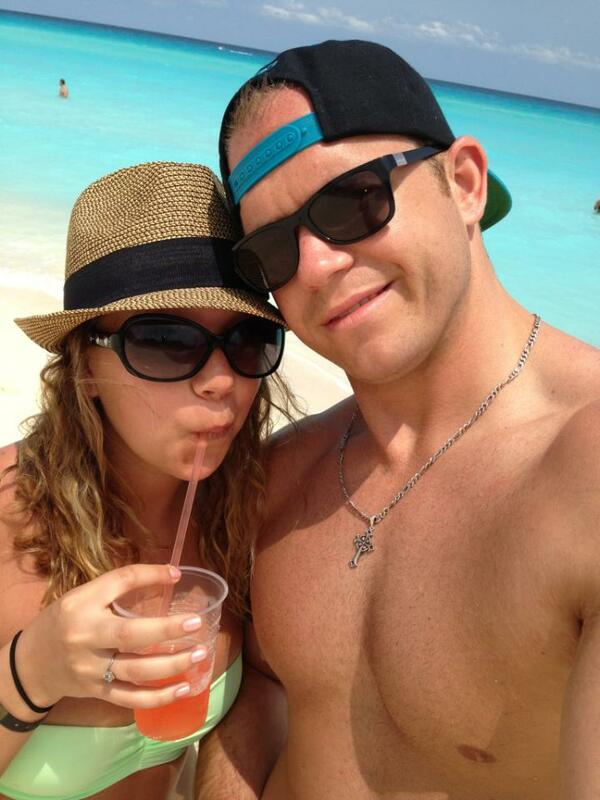 This past May me and Andy ventured off to the beautiful beaches of Cancun, Mexico. 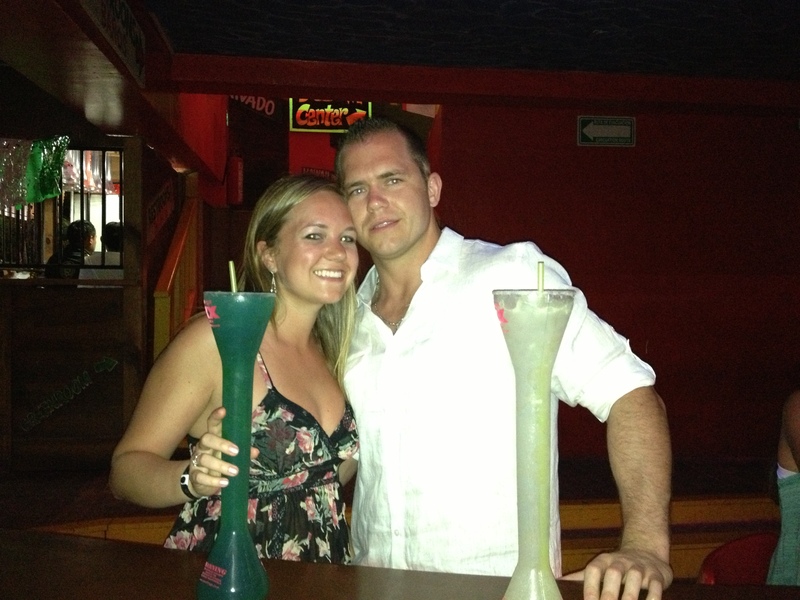 Funny story about why we decided on Cancun. We were planning on being there for my birthday, Cinco de Mayo (pretty awesome birthday). Silly me thought how fun it would be to celebrate the Spanish holiday in Mexico! Well come to find out, Cinco de Mayo is not very Spanish at all. Americans have basically made it what it is, which is primarily a drinking and partying holiday. With that aside, we ended up having an awesome first vacation, in a beautiful place, for very cheap! Here were the details of our trip. 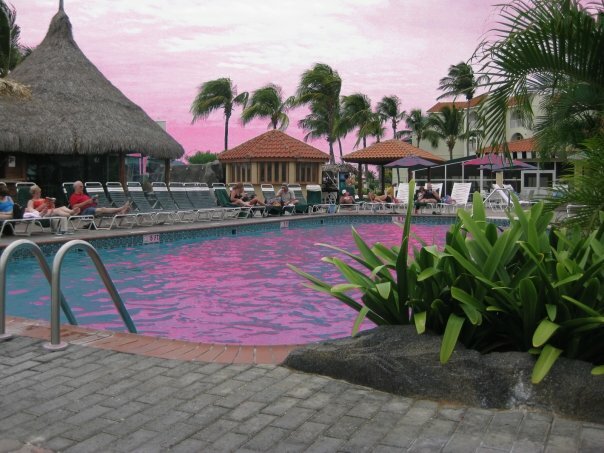 We booked our trip on CheapCaribbean.com. This site is awesome! You can find some fantastic deals, many which include flight and all-inclusive hotels. We ended up booking our 5 night vacation, including airfare, hotel, and airport transfers for under $1000! 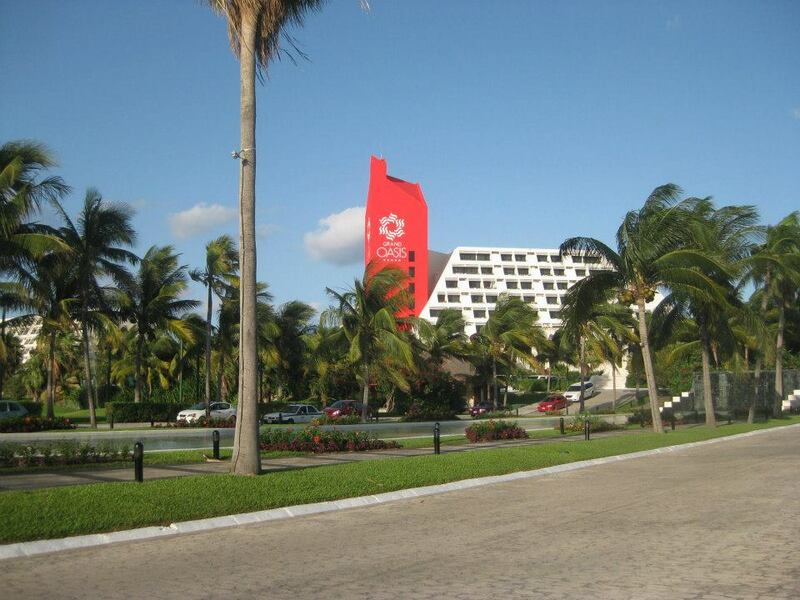 We stayed at the Grand Oasis Cancun. This hotel was huge! Definitely not a 5 star resort but we had to keep in mind how much we paid. We scored an Ocean View room. A few different pools, some with swim up bars. The beach was big, clean, and beautiful. A good buffet breakfast place. A great Brazilian Steakhouse and awesome Sushi restaurant. You had to book reservations for most of the restaurants in the resort the day before very first thing in the morning. You had to reserve beach chairs very early in the morning if you wanted to get any. It seemed one half of the resort was filled with college kids on spring break while the other half was for couples/families. We bought this excursion from the CheapCaribbean reps that we had to meet with once we got there. This was an absolutely awesome excursion that included three exciting activities. We started the morning sailing off on a catamaran. We were completely catered to by the crew. 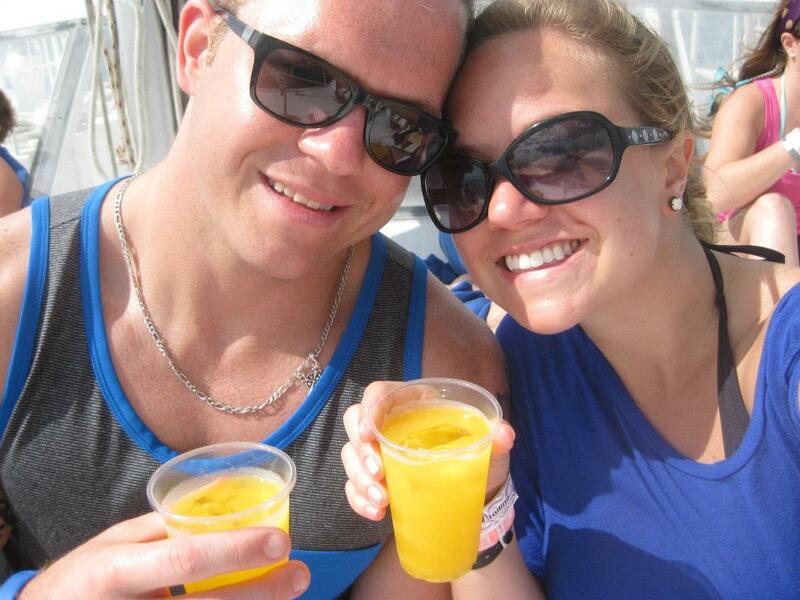 They served us drinks until we got to the snorkeling area. The snorkeling was so great I think it may even beat Aruba’s. We saw some really cool fish, and the water was so blue! After snorkeling we headed to Isla Mujeres, an island off the coast of Cancun. I absolutely loved it here. 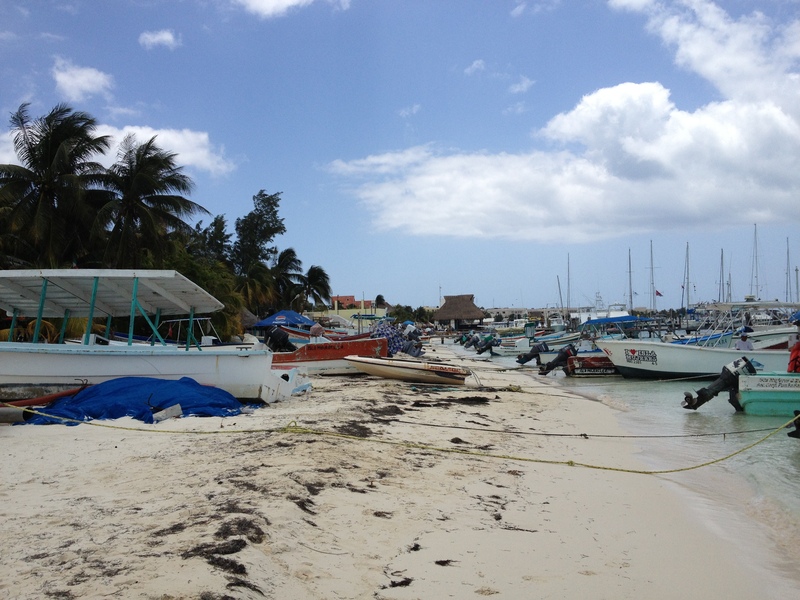 The island has a fisherman village type of feel and makes you feel off the beaten path, especially compared to the touristy hotel strip of Cancun. Here we really just walked around, took some pictures, and found some cool secluded beaches. I would spend a few days here next time if I could! Our last stop of the day was to Dolphin Discovery! 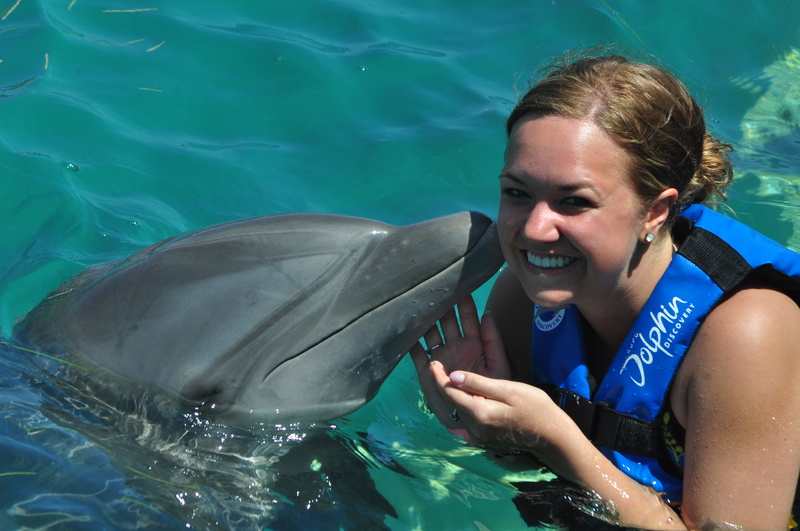 I have wanted to swim with Dolphins since I was a little girl so was ecstatic for this part of the trip. You can read my review on Trip Advisor to get all of the details. 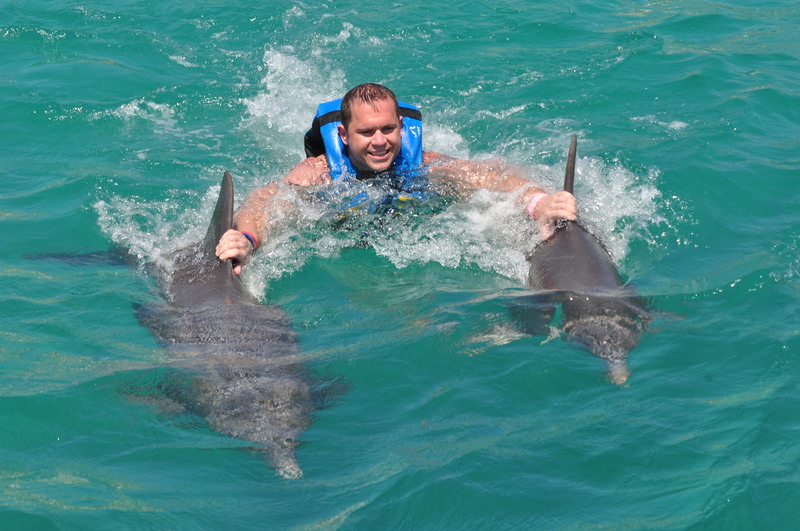 All you have to know is if you ever go to Cancun, you should definitely swim with the dolphins at Dolphin Discovery! 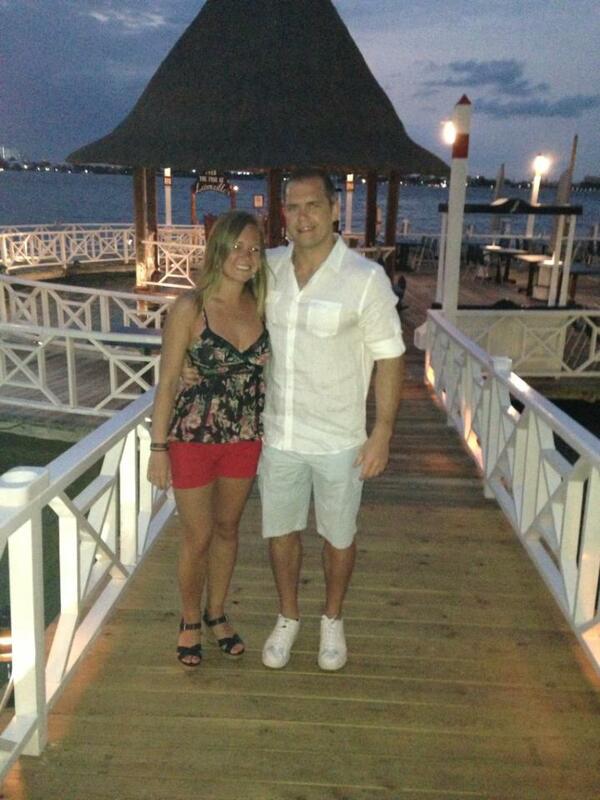 For my birthday night we decided to leave the hotel and explore the restaurants and bars on the hotel strip. We went to a fantastic restaurant called Lorenzillo’s where I ordered an amazing surf and turf meal. Filet Mignon stuffed with lobster! We also had a friendly visitor during dinner. After dinner we headed to Senor Frogs for some good ol’ touristy shenanigans. They very much so celebrated Cinco de Mayo here for all of us Americans. I really enjoyed Cancun. It was the perfect, relaxing vacation where we didn’t feel pressured to do too many activities or sight see. 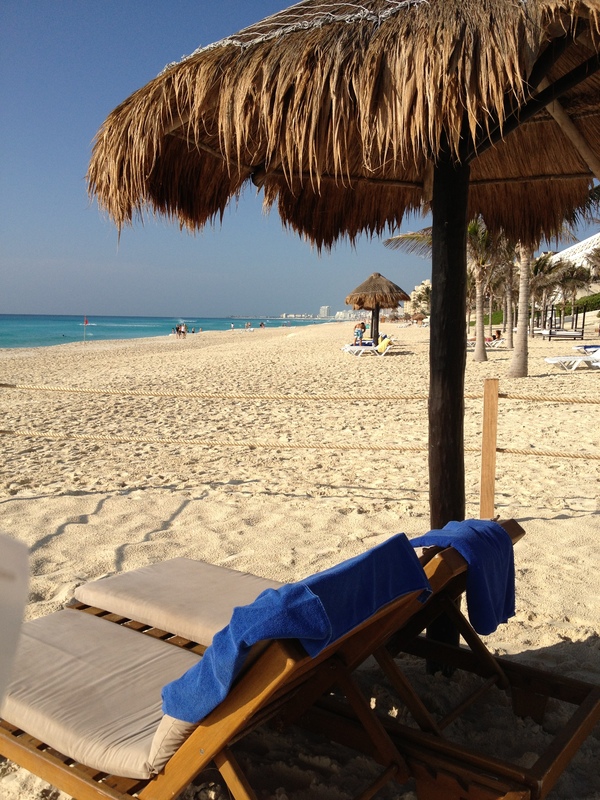 Where is your favorite relaxing destination? 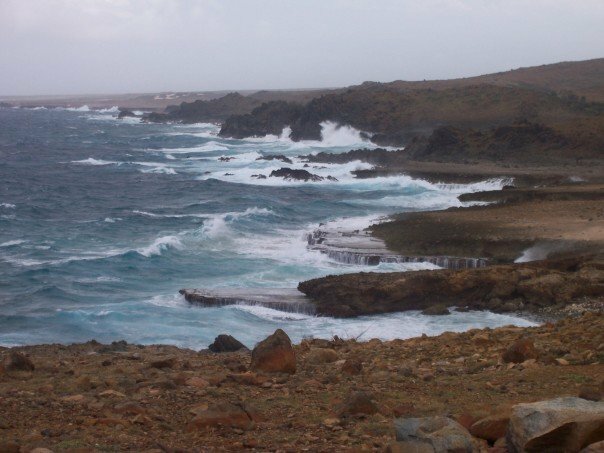 Take Me Back Tuesday – Aruba! If you take a look through my passport you might find an Aruba stamp on every page. My parents have had a time share there for about 10 years now so I have been quite a few times. It is an absolutely beautiful island! The locals are friendly, there are a ton of activities to do, and beautiful places to see. 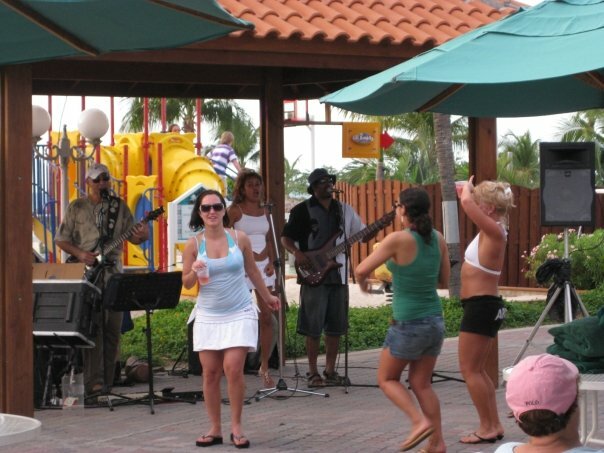 Aruba has something for everyone from families to couples to friends! I have always gone during the month of January which has always had perfect weather. Although I hear it’s pretty much perfect year round. The La Cabana is an awesome resort off of the hi-rise strip and right across from the beach. I haven’t been there in a few years but my parents said that they have been doing a ton of renovations recently so it just keeps getting better and better! They have great happy hours with live music! Kukoo Kunuku (Pronounced koo-koo koo-noo-koo)! 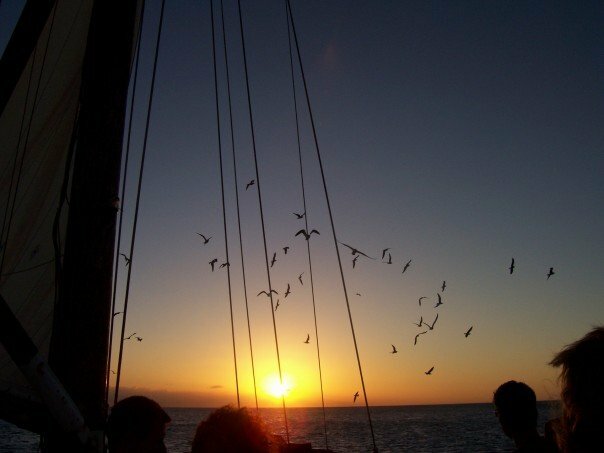 This has always been one of my favorite things to do in Aruba. This crazy and fun school bus picks you up at your hotel. You first stop for a champagne toast at sunset up on a hill. It’s gorgeous! Then they take you to a local residence to have dinner. The night really gets started with stops at three different local bars around the island. It’s a blast! This snorkeling tour is so much more than that! The snorkeling is really cool and takes you around a ship-wreck but on top of that you get open bar, snacks, and the chance to jump off the rope swing! Or hop on the “captains” back and flip into the water. 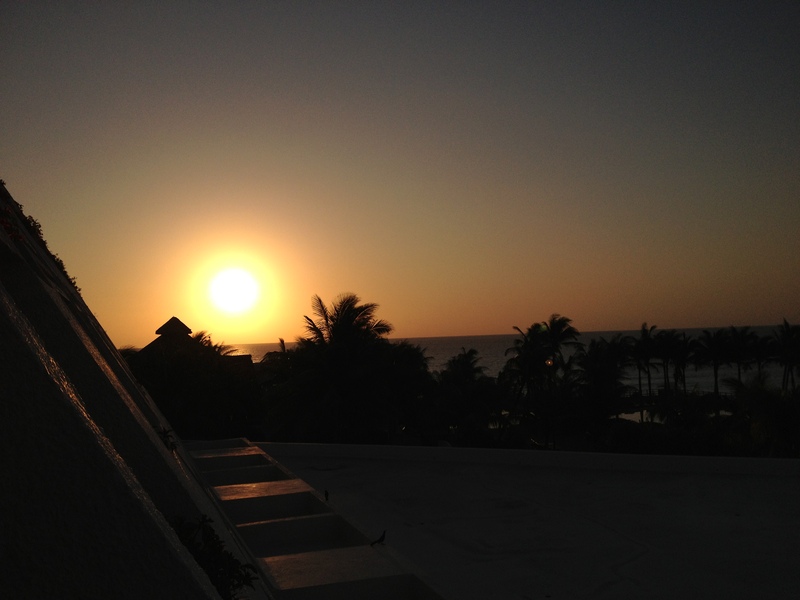 You also get to see an amazing sunset! This one is for the party people! I went on this with my friend when we were about 20 years old. It goes out at night and is a lot of fun with a ton of music and dancing. 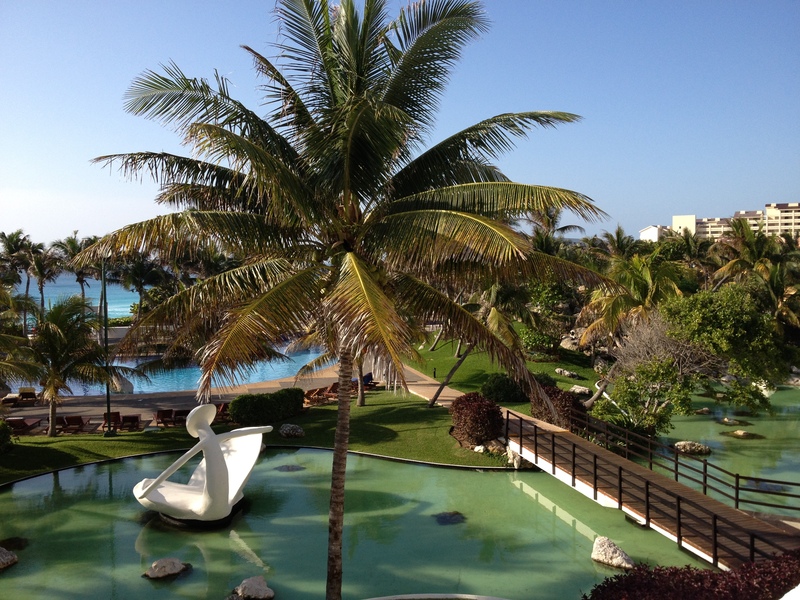 They also have a 3 story enclosed water slide that empties into the Caribbean sea….can’t believe I did that! There are a bunch of different companies that do these tours. I’ve done a couple but they all pretty much go to the other side of the island to show you some gorgeous uninhabited beached and cliffs. The Sopranos Piano Bar – A super fun and intimate piano bar. You can stand right next to the piano and request songs! The Flying Fishbone Restaurant – An absolutely gorgeous sunset with tables are in the sand right on the water. Great for a special night! Texas de Brazil – A Brazilian Steakhouse. You just can’t go wrong at a Brazilian Steakhouse. You really can’t go wrong in Aruba. It’s an awesome place to get away to a beautiful place, relax, and have some fun!